May is National Deck Safety Month, and despite having a late Spring, deck season is finally here! But before you go dusting off the patio furniture & fixing up a cocktail, let’s take a moment to evaluate the current condition of your deck, and establish if it’s safe or in need of a little deck demo and overhaul. The Hudson Valley region endured a rough winter–to say the least–which resulted in exterior damage to many homes, and naturally, many decks. 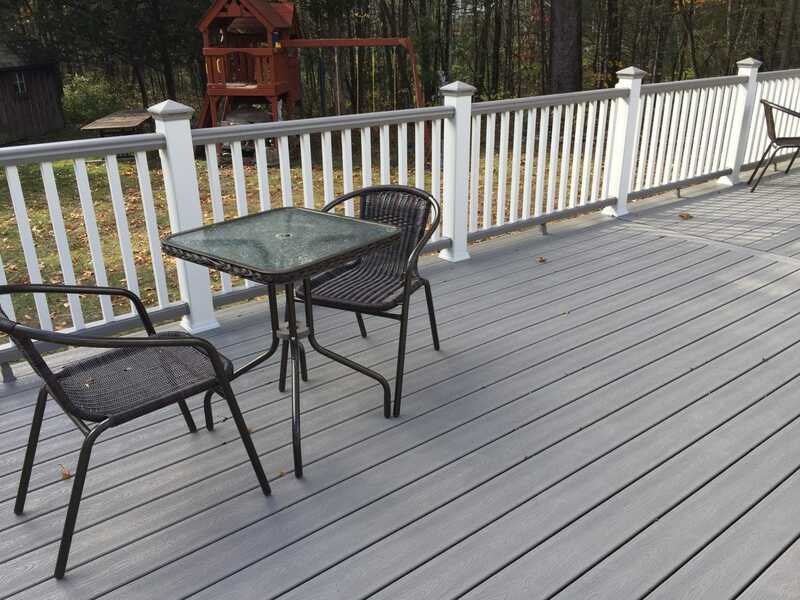 The harsh conditions, extreme temperatures, and weight of fallen snow more than likely took a toll on your deck, especially those made up of pressure treated materials (Learn about the difference between composite materials & pressure treated wood here.) It may be easy to identify certain issues of your deck. However, some problematic areas may not be as easily identifiable. To help establish the condition of your deck, The North American Deck and Railing Association, otherwise known as “NADRA,” has put together a Deck Evaluation Checklist. Reviewing this checklist will help you better understand your home’s deck, but note, you may also come to establish that your deck is not up to code. If this is the case, consider contacting/hiring a professional—your safety, and the safety of others can be at risk. To start, let’s first establish when your deck was built and the visible conditions. This is easy for most but should not be overlooked. Pressure treated decks have a 10 to 15-year lifespan; as they age, they become more susceptible to rot & decay, splintering & warping. 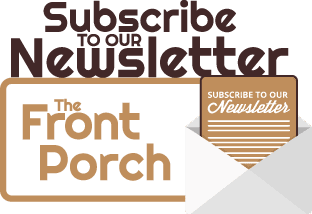 If there are visible signs of these variables, and your deck is over 10 years old, you may want to have it professionally inspected as these encroachments may be affecting your decks durability. Be sure to pay special attention to areas that commonly remain damp. An easy way to test for rot in these areas is to see if the wood can be penetrated ¼ – ½ inch utilizing an ice pick/screwdriver, or if the wood can be easily splintered off. If the wood also seems soft & spongy, rot may be present. Additionally, as you inspect your deck’s condition, take note of any small holes, as this could indicate pests present. As you assess, be sure to examine any loose or corroded fasteners (nails, screws, and/or ledger board anchors). Take note if any fasteners are rusted or corroded and consider replacing them. Be sure to also pound in any nails/screws that may have popped up, too. One of the most important areas to inspect on your deck is the ledger board (where your deck attaches to your house) as it is the most common source for deck failures. Most issues here are due to flashing, or lack thereof, so be sure that flashing is present & properly installed. If you think your deck does not have proper flashing or suspect that there are issues with your ledger board, we recommend contacting a professional immediately, as major issues can insue or be present. Another common problem found here are issues the ledger board anchors & fasteners; either they can be found loose, corroded, or not up to code. Again, problems here should not be taken lightly, as decks can pull away from your home and collapse. Deck maintenance should be performed routinely at the start and finish of each season. 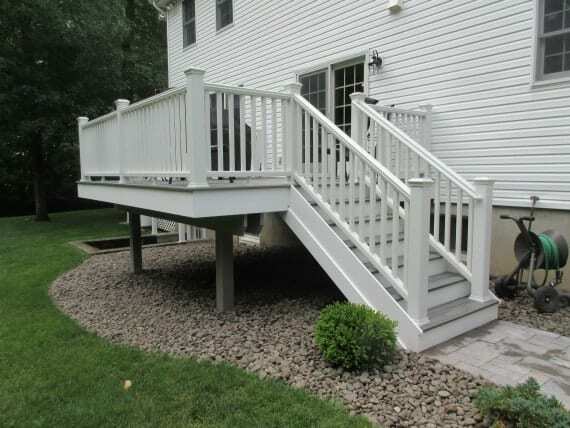 If you suspect that there may be structural issues with your deck, problems with some of the wood/materials, and/or that it may not be up to code, DBS Remodel can help! DBS Remodel was originally established as Dutchess Decking, with the main focus of custom decking, glass sunrooms, and screen enclosures. Over 30 years later, DBS has since then expanded their areas of expertise; but still continue to build & remodel decks, all while keeping the main focus of providing a safe, enjoyable deck that will last for years to come! 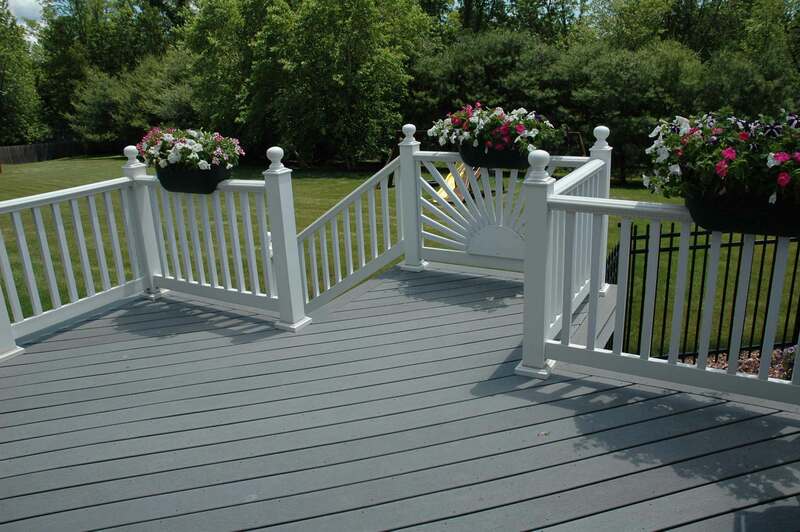 If you need your deck surveyed or would like to build the deck of your dreams, give DBS Remodel a call today.